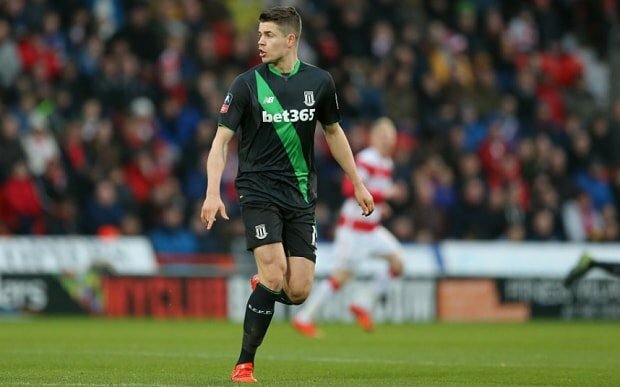 Marco van Ginkel hasn’t bestowed the blue kit of Chelsea too often, only playing 4 times for his employer. The rest of the time has been spent on loan since joining from Vitesse Arnhem for £8 million in 2013. The 24-year-old Dutch international has spent time at Stoke, AC Milan and PSV Eindhoven in the last four seasons. The last two seasons have been placed in the South East town of Eindhoven where he has come into his own, scoring 15 goals over the two seasons. According to speculative reports, PSV were rejected a bid to buy van Ginkel outright last summer but was to proceed with a further year-long loan deal. The midfielder has an eye for position and likes to create play from the mid-ground sending long balls over the top to towering attackers. Van Ginkel has shown keen interest to remain with the Dutch champions and hopes to build on morale and teamwork that has led to great success this season. Despite a disappointing UEFA Champions League performance, finishing bottom in Group D containing Atletico Madrid and Bayern Munich, PSV aims for greater heights this year for sure. The deal seems contentious for an outsider looking in, the Chelsea Board seem unwilling to let van Ginkel go so quickly despite not allowing him to play in the first team. Whether plans are set for the youngster back in west London or whether Chelsea just want to test PSV is up for debate. The £10 million fee seems heavy considering the strength of the loan deal in seasons past. PSV hope to shave £4 million off the price tag and tempt Chelsea by invoking a sell-on-clause such done with Bruman. Once Bruman was sold to Wolfsburg for £12 million where the Blues pocketed £3.6 million; van Ginkel could have a similar proposition on his hands.